Western Bulldogs coach Luke Beveridge has declared star defender Jason Johannisen an almost-certain starter against Collingwood on Friday night, while Tom Boyd will return through the VFL. Johannisen has recovered from an ankle injury suffered in February and is expected to be named for his first game of 2019. "That's probably a fait accompli, it's just who goes out of the side. 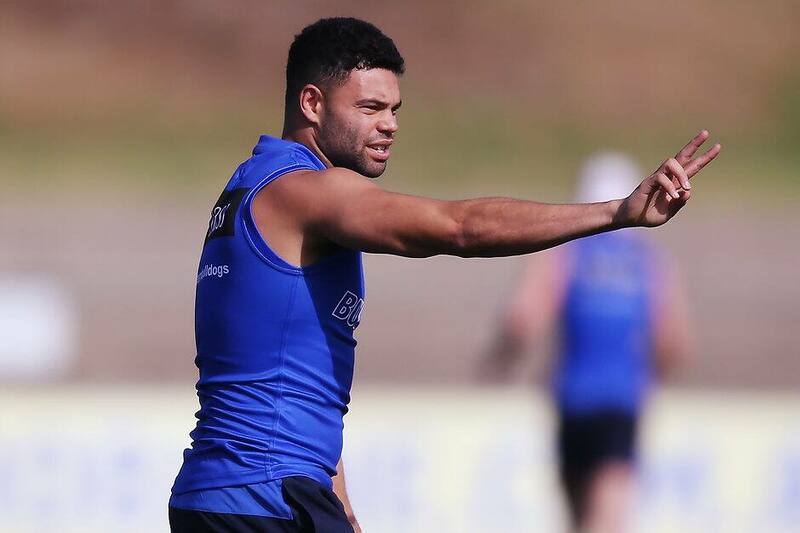 (I'm) not going to declare that right here, but he (Johannisen) will probably play," Beveridge said. "What's in JJ's favour is a history of coming through our return-to-play program. He's come back in and played really well historically – we'll back that in with JJ." In more positive injury news, forward and ruck option Boyd will feature at VFL level against Collingwood on Friday. The key member of the Bulldogs' 2016 premiership success has been hampered by persistent back issues since the latter part of the 2018 season and will be given time to find match fitness before being considered for senior selection. "He's put together some really strong training sessions in recent times, but match fitness, as we know, is another thing," Beveridge said. "I think it's going to take a little while (to find match fitness). Even this week he'll be on limited game time just to make sure he gets through, and we'll build from there. "It'll be a number of weeks before he's available." Midfielder Lin Jong and ruckman Jackson Trengove are also expected to return through the reserves, shrinking the Bulldogs' injury list to just four players after a 2018 season littered with unavailabilities. Exciting swingman Aaron Naughton penned a four-year contract extension overnight, keeping the 19-year-old at Whitten Oval until at least the end of 2024. Beveridge lauded Naughton's immediate impact on the side and flagged more contracts in the works. "It's a bit of a coup for us. He's obviously already been pretty influential (and) only a second-year player," Beveridge said. "We're rapt, he's got a really bright future, obviously. It's great news and we're working away on some other contracts with a few of the lads who are out at the end of this year." The Bulldogs face Collingwood at the MCG – a side they have beaten five of the past six times they've met.